Residents will get the chance to quiz council officials about proposals for the planned Melton bypass next week. A public meeting has been organised by Melton North Action Group (MNAG) in a bid to clarify some of its concerns about the scheme. Representatives from both County Hall and Melton Council will attend the event, which is in the auditorium at John Ferneley College on Monday at 6.30pm. Members of AECOM, which is designing the relief road, will also be there. MNAG chairman Brian Hodder is concerned that the eastern section is being built first, hopefully by 2022. 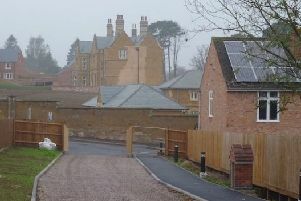 Visit www.leicestershire.gov.uk/mmdr to comment on the bypass consultation, which runs until October 15.